A student team from Vancouver Island University (VIU) was crowned the winner of the regional Vancouver Island Winning Pitch™ competition on Saturday, held at Royal Roads University. Winning Pitch™, organized and presented by go2HR, BC’s tourism human resource association, is a post-secondary student case competition. 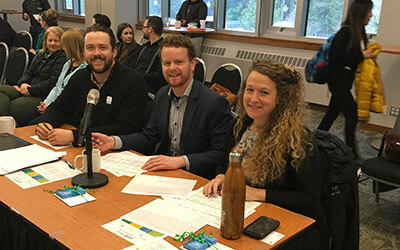 This year, student teams had to develop a new product or service that supports the development of accessible tourism opportunities in the Vancouver Island region. 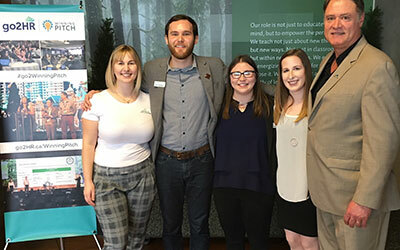 The VIU team, made up of students Emma Burnard, Angela Guerreiro, Flynn Saunderson, and Samantha Vine took home first place with their proposal of “Reach Vancouver Island”. Royal Roads University’s team came in a close second, with their concept “UCAN Software and Services”. “I really liked seeing the teams think about what inclusion meant to them as individuals as well as the tourism industry, and find an innovative path to accentuate what accessible tourism could look and feel like,” said Carinna Kenigsberg. To supplement their knowledge and insight around accessible tourism, students were able to draw on the mentorship and expertise of Nancy Harris, Regional Development Liaison, Spinal Cord Injury BC. 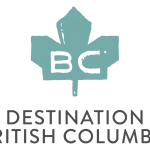 The winning team will represent the region at the provincial finals, which will take place at the 2019 BC Tourism Industry Conference in Vancouver in February.